The Côte d’Azur stretches the whole length the Mediterranean coast from Marseilles in the west to Menton in the east, while the French Riviera is the eastern section from Cannes to Menton. 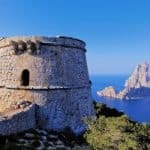 Head for France‘s Riviera to get a tan in a busy social hot-spot with warm waters, to Brittany for family oriented holidays with lots of kid’s attractions, to the south Atlantic coast for space or surfing in cool waters and to Corsica island for some excellent beaches along with wild hiking. Pampelonne beach is St-Tropez’s crown jewel of beaches, even thought it is actually in Ramatuelle. 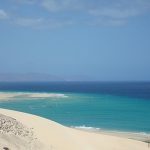 Nearly five kilometers of fine, white sand separate the Mediterranean sea from acres of scrub-covered dunes. It’s a site of remarkable natural beauty that offers a rural backdrop to the world’s most glamorous beach party scene. You will not find high rises along the coastline. There’s no seaside promenade, no snack stands, and no souvenir stalls. Dunes rise gently behind the beaches before sloping down to a strip of paved parking. There’s ample space to throw down your towel and enjoy Pampelonne Beach for free. Any space not already taken by beach chairs or mattresses is yours. You may be thigh to thigh at the height of the summer season but off-season there’s plenty of space. Water sports is available at the Tamaris entrance and Kaupo at Patch where you can rent kayaks, jet skis and other equipment from April to September. Leucate Beach is a popular beach resort area in the south of France on the Mediterranean coast. It is situated near the town of Leucate, although the beach area is quite secluded and offers a calming beach resort experience. 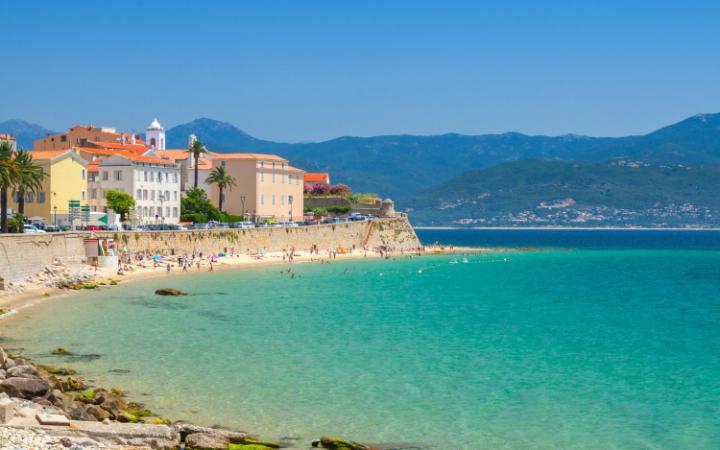 The beaches here boast some eleven miles of fine golden sand, and they’re some of the prettiest French beaches in the southern part of the country. Surfers and nudists will particularly enjoy Leucate Beach. For the former, the beaches of Leucate are well-known for kite-surfing and windsurfing, and various other water sports that depend on the wind. For those who enjoy relaxing on the beach au naturel, Leucate Beach has a section that is officially designated a nudist beach, where you can throw caution to the winds and soak up the sun as nature intended. Leucate Beach proper is a family beach, and you can bring your family, your beach towels, and your parasol and spend a day enjoying the soft pale sand and turquoise Mediterranean waters. Cliffs that surround the lagoon provide shelter, although there is usually enough wind for kite and windsurfing. There are a variety of good restaurants near the beach, where you can eat your fill of fresh seafood and sample some fine local wines. However, Leucate Beach retains a somewhat slow-moving and secluded atmosphere, perfect for families and couples. Notre Dame Beach is on the north coast of the island of Porquerolles. Fringed with eucalyptus and pine forest the beach here is reminiscent of a Caribbean bay with the yachts bobbing in the clear turquoise waters of the French Riviera. The island is mostly national park and a conservation area thus protecting it from future development. Notre Dame Beach is special as it is a little further off the beaten track. You will need to take a boat from Hyères to get to any of the beaches on Porquerolles. There is plenty of parking when near the boat taxis, but it can get busy in peak season and you may drive around trying to find a parking spot. The water is beautifully clear, with lots of marine life near the shore. The water is also very shallow, which makes this beach great for families. There are lots of bugs here, so bring the bug spray. The magnificent beach at Biarritz, on France’s Basque coast, is known as La Côte des Basques and has long been a playground for the wealthy and surfers. This is the birthplace of surfing, and has an exceptional setting surrounded by cliffs and a magnificent view of the Spanish coast and mountains. Sun bathing is suspended during the high tide (there is no more sand). Parking is at the top of the cliff and beach access is by steps, paths or a free shuttle. There is a first aid station at the beach. There is also surfing lessons available and equipment rental. Enjoy a day relaxing and watching the surfers. No need to bring food are there are cafes and restaurants in the area. Ondarraitz Beach is popular among families and surfers alike, since there is plenty of space for everyone and some nice waves to surf. Even on the most crowded of days, it is possible to venture further down the beach and find your own relatively secluded spot. Although be aware that the further east you get, the more likely you are to be among nudists. Ondarraitz Beach also has a long promenade next to it which is known as the “Boulevard de la Mer.” Along the Boulevard de la Mer and the the Av. des Mimosas there are lot of shops, bars and restaurants. At the end of the beach stands two rocks just off the coast called “the twin rocks”. The legend around these rocks says that one day a Basajaun (a bigfoot like creature from Basque mythology) was in the Basque mountains and he tried to throw a rock to destroy the town of Bayonne. However, in doing so, he tripped and the rock fell out of his hand, broke in two and landed in the water of the beach of Hendaye. 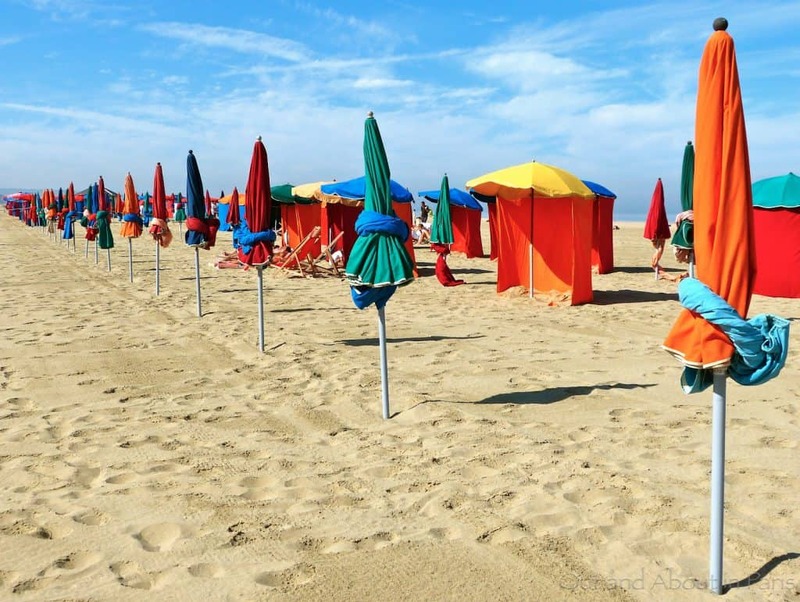 The colorful umbrellas on Deauville’s fine sand beach have become a landmark of the town, as has its boardwalk made of exotic wood. There are various clubs to keep children entertained throughout the day. The Centre Nautique offers windsurfing, speed sailing, catamarans, sea kayaking, bodysurfing, kite flying and surfing. Watersports including jet-ski and sailing are also available on the Bassin de Plaisance Morny. North Beach in Le Touquet is part of the central squares. It revolves around Centenaire Square and ends at the dunes. It is very well equipped and has many activities including a kids club, recreation center, bars and restaurants on the beachfront, and mattress rentals. This beach is monitored in summer and has lifeguards on duty. The beach is huge and the water is very far away at low tide making swimming a little difficult. There are lots of parking areas around the area and paid parking close to the beach. The beach is handicap accessible, has showers and restrooms. Central Beach in Le Touquet is much more than a beach! Most come for the swimming like on most beaches, but there are also many equipment and recreational activities. There are two patios below the car parks with beach volleyball courts on the promenade. There are three beach clubs, several beach attendants (with bars) and more beach volleyball courts on the beach. It is impossible to get bored at this beach, even at low tide when the water is so far away! This area is monitored daily from 10:30 am to 7 pm in summer, and there is plenty of paid parking on the waterfront. 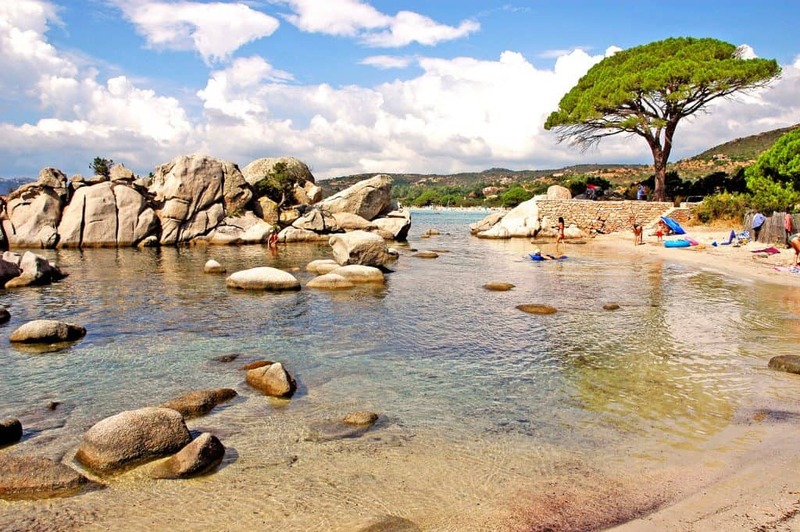 Tamaricciu beach in Porto-Vecchio is located south and is an extension of Palombaggia. 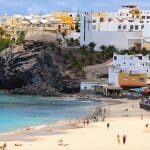 Less known than its neighbor, the pictures of this beach are renowned the world over thanks to its pine tree sitting in a narrow encroachment of the sea. The setting is idyllic. The shallow waters and fine sand attract thousands of tourists every day. Several restaurants and private beaches are available. You can reach the nearby beaches through trails along the coast. There is plenty of free and paid parking, but it can become difficult in the summer along the road. There are paddle boats and mattresses for rent, and nautical sports are popular here. Dogs are also allowed on this beach. 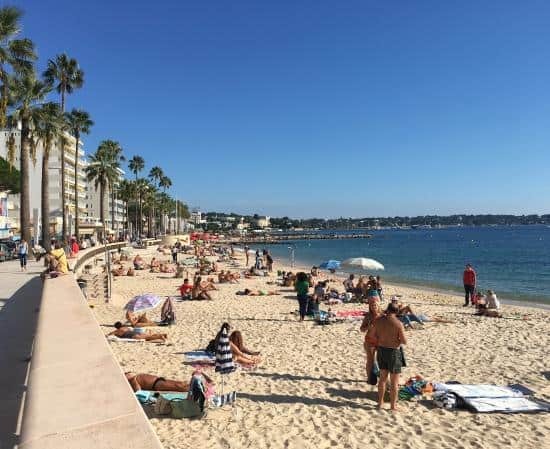 Located along the Boulevard Charles Guillaumont, the main beach of Juan les Pins is a long stretch of fine sand lined with restaurants and bars, some of which serve excellent French cuisine. Most of the stretches of beach along this main drag are private, with an enclosure preventing non-paying visitors from entering the sand. 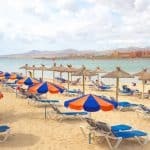 However, for a day of relaxation on this wide and luxurious beach, it is worth paying a few euros for the price of renting a mattress and umbrella, which allows you to soak up the sun with thousands of other sun-worshippers. There are plenty of shops along the waterfront here, as well as a boardwalk which offers a nice view of the ocean as well as hundreds of sun-bronzed bodies. This may be a private beach attached to the Le Meridien hotel, but it’s the place to be if you’re interested in water sports. The Meridien has provided many services designed to help you to enjoy the water to the fullest, from water-skiing, wakeboarding, parasailing, boat rental, and other fun activities. It is located on a section of beach at Boulevard Baudoin; head to the pontoon dock in front of the hotel to get started on your water activities. Just south of Garden Beach along the stretch of sand beneath a pine forest, the famous Juan les Pins Jazz Festival is held in July every year. Don’t miss this world-famous festival that has attracted such talent as BB King and other jazz luminaries. 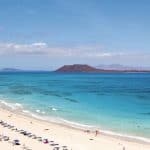 Hello, here is another amazing posts full of amazing beach destinations. Well I have been to France many times and i have seen many famous beaches over there. My favorite is notre dame beach. I can say with my own experience that it is such a heaven on earth. I would agree that Notre Dame Beach is heaven on Earth, among other beaches as well 🙂 Thanks for visiting Sarah and your continued support for beach travel destinations. However, having had experience of English Channel and North Sea (ergo, Atlantic) sea temperatures, I can tell you that the Mediterranean coast beaches would definitely be more my cup of tea. Yeah, mine too and I have to have warm water. But I do love to go to exotic places and just soak in the sun and the beautiful scenery! Thanks for visiting the beaches of France! You do live in paradise Kay, and yes it would take a very long time to visit all of the beaches! There is soooo much more to explore for sure and I will spend a lifetime doing it! I am glad you enjoyed reading about the beaches of France! I’ve traveled many different places before. Ireland, Germany, and all over the Caribbean, but I’ve never been to France before. These beaches look absolutely beautiful. Especially Tamaricciu Beach. The rocks give it this unique look. You are giving me serious travel envy. Although I don’t think I will be able to afford to go to any of these beaches any time soon. You know out of all the places in Europe, France is probably one of the cheapest to fly to believe it or not. And of course France has great beach travel destinations 🙂 Thank you for reading about the beaches of France! Well website! The pictures you selected for your home page are fantastic. I am guessing you have visited all these locations with the detail you describe. The pages on the airline,hotels and packaged deals were informative. And the ads you included on the beach gear looked great. All in all a very professional looking product Leahrae. Thank you so much Dave! Yes, beaches are a huge passion of mine and I love sharing! Thanks for visiting best beaches of France! 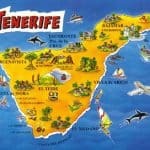 Definitely have to visit one of these beaches soon, or at least when I have saved up enough to go for a holiday hahaha. It must be pretty costly to fly all the way to France from Asia. In your selection of beaches, North Beach captures my attention the most. I’m not much of a professional swimmer, hence, the lifeguards on duty will definitely help keep my mind at ease. The kids club would be useful too! Yes, you don’t find many kids clubs right on the beach, yet you will find it at North Beach. France is actually a lot cheaper to fly to (for me) say than Germany. 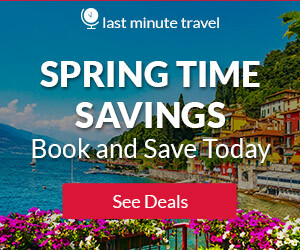 I can catch a flight to Germany for around $2000, where I can fly to France for about $500. This is a huge difference. Thank you again for visiting Beach Travel Destinations Farhan. I have never been to France as we mostly visit Indonesia when we travel as it is nice and close to Australia. When i think of France I tend to think of things like the eiffel tower I had no idea France had such beautiful beaches.I think that this year we will be looking into France as a destination a little more seriously. Thank you for your informative piece. You are very welcome Jodes. Thank you for visiting Beach Travel Destinations. Please let me know if I can answer any questions! Hi, Leahrae. I have only been to France once, and like most, I went to Paris. I knew about the French Riviera in general, but I never knew that France had so many beaches. There’s a wealth of information here, and your information makes me want to visit them all. I am glad you enjoyed! That is the wonderful thing about France, so much history and great places to see Paris. For the beach bum that I am, I feel like it’s a gold mine. I can see lots of history and culture and enjoy great beaches all in one vacation! France is positively a great place for a beach vacation!